To spread the love, we have four fun giveaways for you to try your hand at winning a $25 gift card! Good luck! Be the first to correctly answer our trivia question, which will be posted on Wednesday, February 2, 2011, and win a $25 gift card. Answer the following question: On our website, we list the Top 5 reasons to choose Trupanion. What is reason number 2 and what kind of animal is pictured on the bottom of the page for that reason? Winner has been selected! Thanks for playing! You may have a human Valentine this year, but we all know that our pets are our Valentine no matter what! 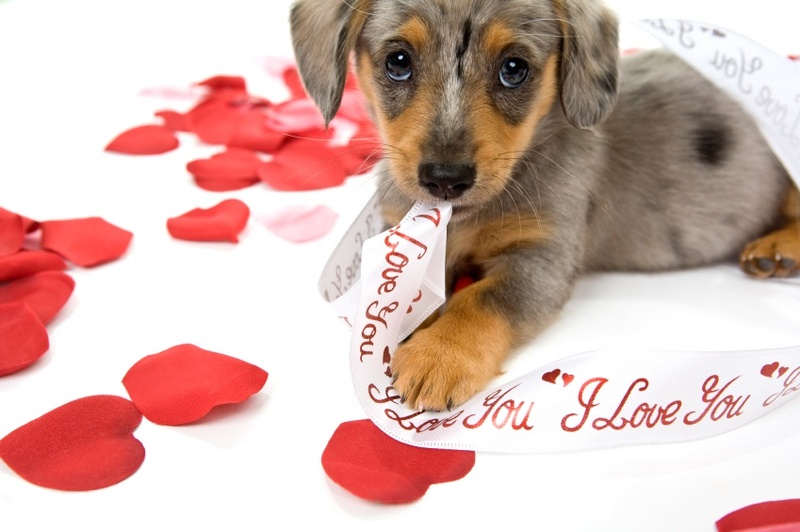 Tell us why your pet makes such a great Valentine to be entered into this week’s giveaway! One random winner, announced February 11, 2011, will receive a $25 gift card! Honorable mentions will be featured on our blog and shared on Facebook on Valentine’s Day. On Tuesday, February 15, 2011 we’ll post a picture of a dog and it’s your task to guess its weight! Whoever guesses closest whole number will win a prize! (If multiple people guess the correct answer, then they will be put into a random drawing). Winner will be announced Friday, February 18, 2011. Time to get clever! Come up with the best (judged by a small group of Trupanion employees) caption for the photo that we will post on February 22, 2011. The one that makes us laugh the most will win a $25 gift card. Winner will be chosen and announced via Facebook on Friday, February 25, 2011. On our website, we list the Top 5 reasons to choose Trupanion. What is reason number 2 and what kind of animal is pictured on the page for that reason?